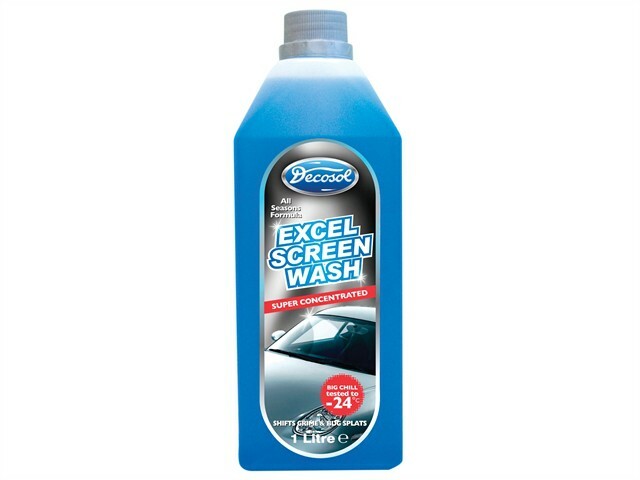 Decosol Excel Screenwash keeps vehicle windscreens in top tip spotless condition. Just use less fluid and more water to get a good ratio mixture, making anything up to 25 litres per bottle. This is especially desired in colder climates where a thin layer of ice or frost accumulates on the windscreens surface, eliminating the need to manually scrape the windshield or pour warm water on the glass. Decosol Screenwash also has a non-smearing formulation additive to keep the screen squeaky clean and free from road grime and bugs, with the added benefit of non freezing at temperatures up to minus 24° Celsius. (When used neat). Makes up to 25 litres.